big Ideas From A Little Girl: Playing with new products! This time of year is always exciting for me. The new 2010-2011 Idea Book & Catalog is about to begin and every year I say the same thing - "this is SU's best catalog ever!" This year is no exception, the catty is fabulous! I'm hoping that the cases of catalogs arrive today so those of you who reserved one can get your hands on it as the day we can start ordering is on Thursday, July 1st!! If you did not yet reserve a catalog, please leave me a comment here (if I already have your contact information) or send me an email so I can make sure you receive a catalog. Today, I am sharing with you a card that I created using one of the new DSPs called Greenhouse Gala. I also used one of the new cardstock colors called Early Expresso. I love the deep brown color together with the celery. The scallop circle I used on this card is a new one too! The size is 2 3/8" and it goes perfect with the 1 3/4" circle punch. 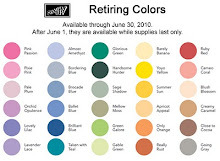 I used another new color for the scallop circle - Daffodil Delight. The cute lil' lion is from one of my favorite animal sets called Fox and Friends. 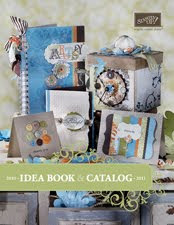 It's debut was in the occasions mini catalog and I'm happy to announce that it made it to the new idea book & catalog! 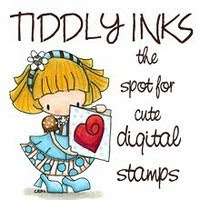 Here's the inside of the card...this new cute stamp is called Perfect Punches and although I didn't use my curly label punch after I stamped it, I thought it was perfect for a sentiment inside of my card. I used my scallop border punch to add the finishing touches. Happy Monday! A new week is already here...I can't believe that June is close to the end and we are upon a new month!! By the end of the week, I should be able to do a sneak peek post for my July class! Come back tomorrow to see some precious raks from some sweet friends. Thanks for stopping in today!! Love this new DP! Thanks for the sneak peek! 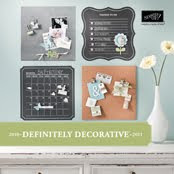 Can't wait to get my hands on that new catalog! The new DP is very pretty. It coordinates well with the new brown CS and the green that you picked out to use. I love the Fox and Friends stamp set too. 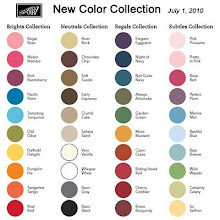 I can't wait to get to purchase from the new catty and to see what you have planned for your class in July. I don't remember if I reserved my catalog with you, but if I didn't please add me to your catalog distribution list. 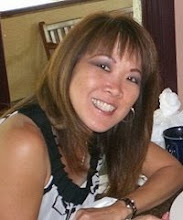 BTW Love your card! What a cute card! 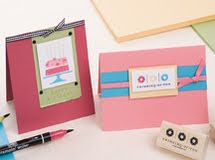 Luv that new DSP & cardstock color! Uhhh can't wait for the new catalog!